My husband doesn’t believe me when I tell him that Zachy doesn’t like it when we mess with his schedule too much. He doesn’t think it will be a problem to wait until 30-mins before Zachy’s lunch is due to take him to the park, as we’ll just give him lunch later. He never worries that Zachy might fall asleep in the car if we start off too close to his lunchtime nap, and then that’ll be the only sleep he has all day. Or, he’ll just take a much later afternoon nap… and stay awake until midnight. He doesn’t worry about these things because he has rarely had to deal with Zachy being hungry or tired and he doesn’t mind bending the routine here and there because he hasn’t spent the last 21 months perfecting it. Most days it works like a dream. Then, there was last Sunday. We should have left for YiaYia and Papou’s house around 10.45am. That way, we would have got there nice and early for YiaYia to follow Zachy up and down the stairs a few (hundred) times and walk him round and the round the garden before he even started to think about feeling hungry. I was hoping to use this time to catch up on the Guardian Weekend magazine and gossip with Eva. However, my husband decided that he needed a beard trim that morning, not just any beard trim though – he treated himself to a shave at the Groom Room in Dulwich Village, as he does every week (I choose not to go on too much about this as it works out to cost about the same amount I spend on my bimonthly cut and colour & you’ve got to pick your battles). It was after 11am when he finally strolled home, having also indulged in a little head massage while I was busy coaxing Zachy to eat breakfast/brush his teeth/get dressed/put his shoes on. He then started happily pottering around the house, blissfully unaware of the time until I mentioned that we should probably get going (5 times). At 11.20am, we finally left the house. “We’ll be there by 11.54am” he said, playing his favourite car game. No chance, I thought, but looked out of the window instead of retorting. If it hadn’t been for that little detour, it might have been ok. Feeling the pressure to arrive for 11.54 now that he had claimed it out loud, my husband decided to take the back roads to his parents house. Big mistake. Huge. Temporary traffic lights plagued us the entire way there. Closed lanes and diverted traffic at every turn. The clock hit 12pm and I started to feel a bit uneasy as the tension started to build up inside me. I glanced back nervously at our son, but he seemed relaxed enough slouched back in his car seat, with his feet resting up on the sides. Exhale. 12.01… came and went and still nothing from the back seat. Phew. 12.02… at first I thought he must have fallen out of his car seat, the screams were that loud. I turned back to see him still safely strapped in, but throwing his head from side to side, kicking his legs and bright red in the face. I tried to placate him with a snack (NO, NO, NO, NO, NO! ), a drink (NO, NO, NO, NO, NO!) and a dummy, which he took from me, but only so that he could throw it dramatically on the floor and scream even louder. For 20 minutes, he screamed. 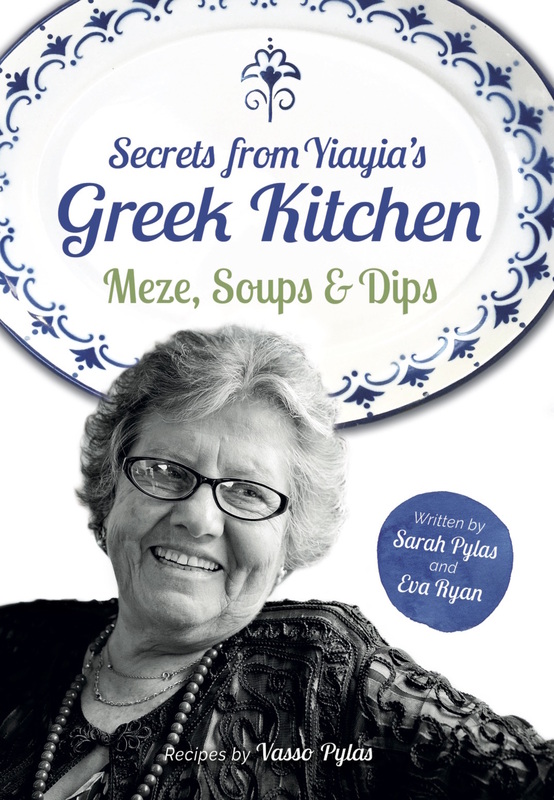 When we pulled up outside YiaYia and Papou’s house, he had tears streaming down his little face. When I finally untangled him from his seatbelt and lifted him out of the car, he was sobbing on my shoulder. It was 12.22pm and lunch was 20 minutes late. “I made a mistake” my husband said, which meant that I couldn’t have a go at him. After reassuring Zachy that everything was ok and we hadn’t forgotten to feed him, we took him through to YiaYia’s kitchen where his feast awaited him. In no particular order, YiaYia had prepared the following for Zachy’s lunch: cheese pie, organic lamb chop, chicken, courgettes, carrots, houmous, rice, lemon potatoes, pitta, stuffed vine leaves, strawberries, melon and baked a cake. He pushed the vegetables to one side and happily dipped the potatoes in the houmous and when he had finished those, he just started spooning the houmous in, like it was yoghurt. What’s your view on getting your child into a routine… are you a real stickler for it like me or do you have a more laidback view on it, like my husband? Oh dear, this used to happen to us when our eldest was a baby. After a couple of these senarios like this my husband soon got the message. I was a bit more relaxed with my second but he was still in a routine… Works wonders..
Hi Richmond Mummy! Am sure she will be fine as she’s just weeny but if you are nervous, you could try arriving at the restaurant for 7pm and walking her around in her buggy for 30 mins until she drifts off and then going into the restaurant once she’s asleep. It really does take over your life but I truly believe we have a lovely little boy because he has a routine he knows and understands. We steer off it occasionally – he’ll have his morning nap in the car sometimes or his lunchtime nap in his buggy but I think it is more in the timing than the location… you’ve still got to live your life! Have a fab night, am sure she’ll be just fine.